We just returned from an outstanding trip to Georgia. Our friends, Bob and Linda, hosted us in their beautiful home for almost a week. 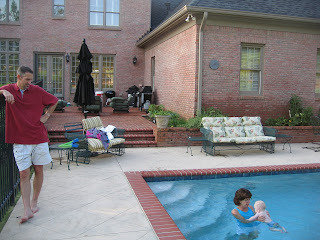 We played in their pool almost every day that it wasn't raining (yeah!) and enjoyed every minute with them. 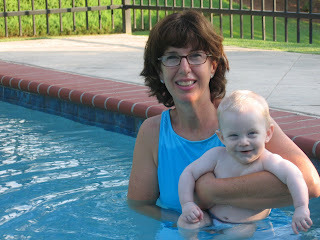 Mason just loved being in the water with Linda. He splashed and kicked and smiled; needless to say, he slept very well that night. 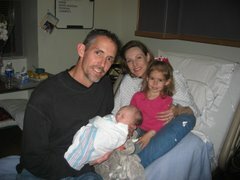 And Madeline was ever our little fish with her floaties on, getting more confident every day.